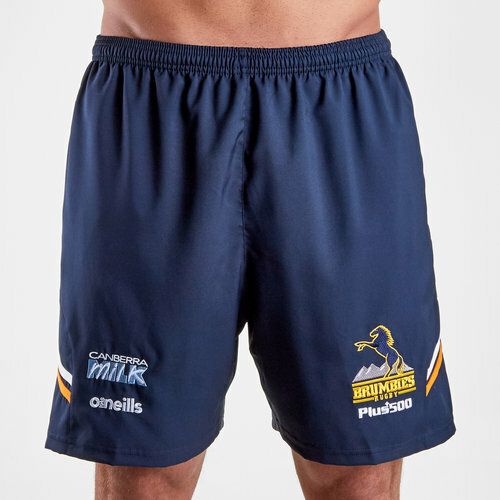 Cheer on the Canberra based side at the GIO Stadium, in training or out and about when you pull on this Brumbies 2019 Super Rugby Larberra Shorts from O'Neills. Sticking to tradition thee short are navy with white and gold detailing. They are the perfect item to wear in training or for staying relaxed at home as these shirts have been crafted for comfort.